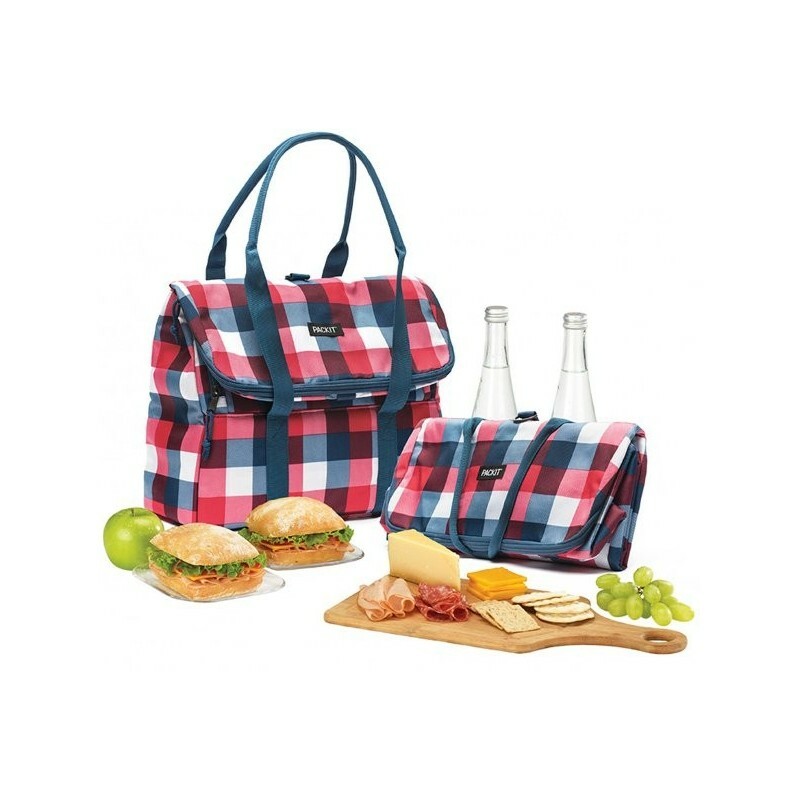 A fashionable and functional freezable picnic tote designed to fit food for four or four large bottles and keep them cool for hours. With a top flap that conceals a dry compartment suited to cutlery, utensils and napkins. Simply pop it in the freezer overnight to keep your picnic treats chilled all day. Buffalo Check design. Reusable bags helps save you money, time and waste going to landfill. Built-in freezable gel keeps items cool for hours (depending on external temperatures). Fits food and drinks for four people, a six-pack and snacks or four 750ml-1L bottles. Top flap unzips to reveal dry storage compartment for napkins and utensils (utensils not included). Cold compartment's large zip opening allows for faster packing and lets you see exactly where items are stored. Roomy design lets you store drinks upright and avoid spills. Webbed straps for easy carrying on the arm or shoulder. Zip closure and top flap lock in cold, dry air. 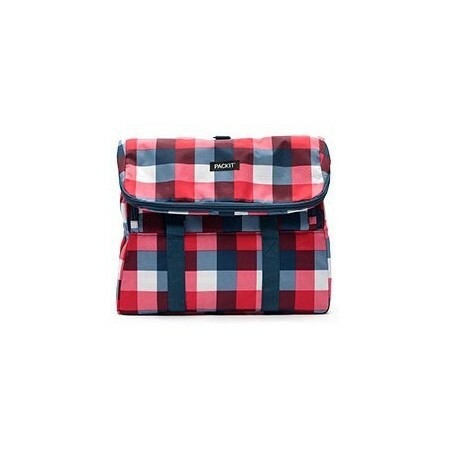 Made from food-safe, nontoxic poly canvas and waterproof EVA. PVC-, BPA-, phthalate- and lead-free. 36.8 x 14 x 38cm expanded. Nontoxic Polycanvas and waterproof EVA.